Hello to all who come here. This is a short message just to let everyone know I am still here even though writing or adding anything new to this web site is still such a challenge for me. On the 21st of this month the year anniversary of my daughter's death will be here and as you may imagine these days leading up to that date is very difficult. Lately I have written many things in my mind, however it has yet to make it from my mind to this site. In order to continue here I truly feel it is necessary to write about the journey with my daughter and not all of it is easy or joyful and thus my resistance. Do I show all sides of a journey? And if I do am I able to do it without shadow? I don't believe I can though I do know I take responsibility and ownership of whatever shadows may arise in my writings. My mind then wonders if it would be best to write about the birth of a shadow in a persons' life and to show how it is fed and developed through the years? How vulnerable do I choose to be in continuing on this journey of life? If I write about these things I would be writing of my life since this is the life I know most deeply and yet I fear to begin this journey. In the meantime as I wrestle with the journey of who I am and where do I belong and where do I create in this life I have added a photograph of how I look now. 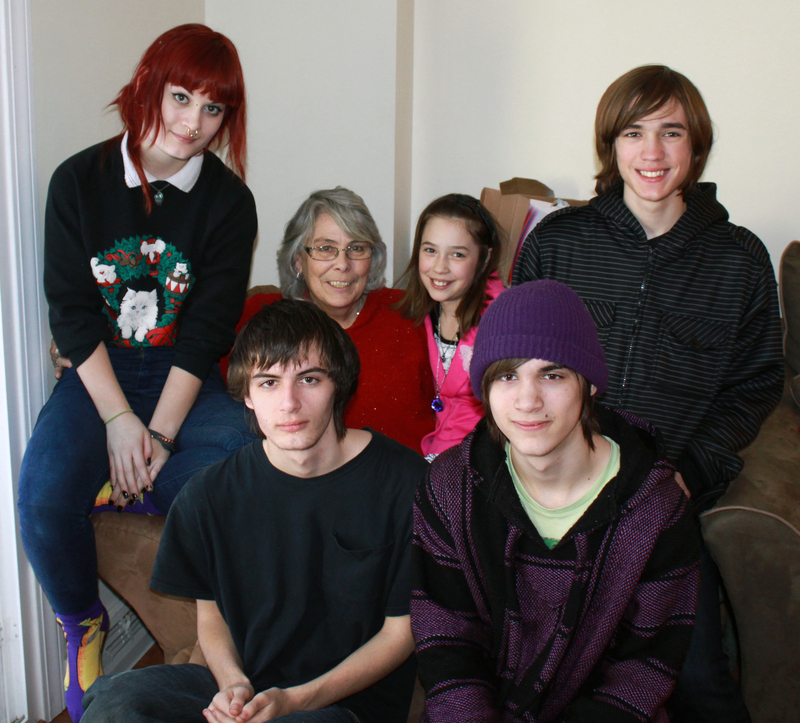 The photograph I chose to use shows me surrounded by my grandchildren. These beautiful Souls are the children of my daughter, Heather. I am grateful for them and love them all so very much. In the meantime as I wrestle with this journey of life I am asking all who read this to send prayers and thoughts of strength, courage, healing and love to me and all of Heather's family as we near the year anniversary of the day she left our physical world. Thank you.